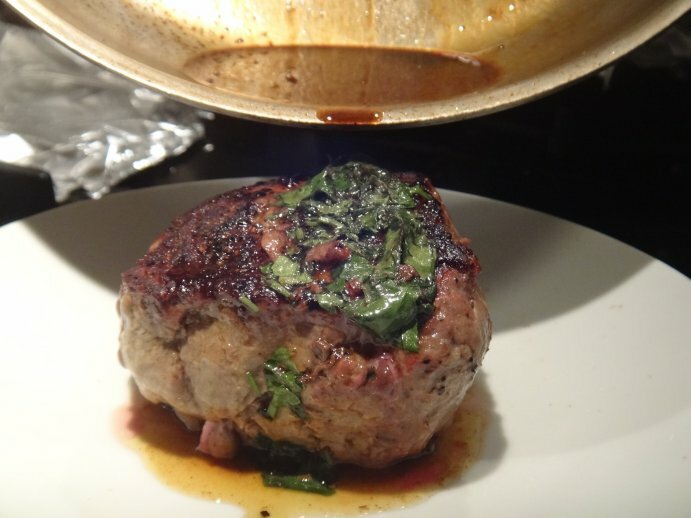 Recipe by: Chef John V.
Description:A simply cooked sirloin steak that can be found in most supermarkets. Over the past few years, supermarkets has been selling petite sirloin steaks. So what is it? It's a well trimmed steak cut from the larger top sirloin roast, weighing in, on average of 12 - 14 ounces. The name is just a way of "marketing" it. Don't be confused, it's not from what is known as a sirloin strip or New York Sirloin strip, from the short loin area of the animal. 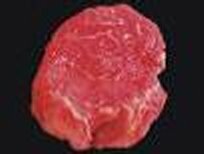 Petite sirloins come just after the short loin and before the hip of the animal. It's trimmed almost fat and gristle free, it's flavorful but because it's leaner than strip sirloin, it can be a bit chewy. It's best seared over medium-high heat or grilled, then sliced thin, slightly on the bias. Seasoning before cooking; simply rubbed with a little vegetable oil and light dusting of salt and coarse ground black pepper is all you need. Towards the end of the cooking process, a minute before taking it out of the pan, test the internal temperature with probe kitchen thermometer, for example 128-130 F. will be medium rare. Remove from the pan to rest 3-4 minutes. Let the pan cool slightly and then add 2 tbsp. butter, 2 tbsp. chopped shallots and 2 tbsp. fresh chopped tarragon, and return the the pan to medium-high medium. Deglazed with 1/2 cup white wine, reduce by half and then pour over the steak. You've just made a pan sauce by this method. Jus is a French cooking term for a non thickened pan juice made by deglazing and reducing, after sauteing or searing meats in a pan. You may choose to use any fresh herb that you like or a combination of them for that matter.